CEO of Cambridge Analytica Alexander Nix speaks at the 2016 Concordia Summit. 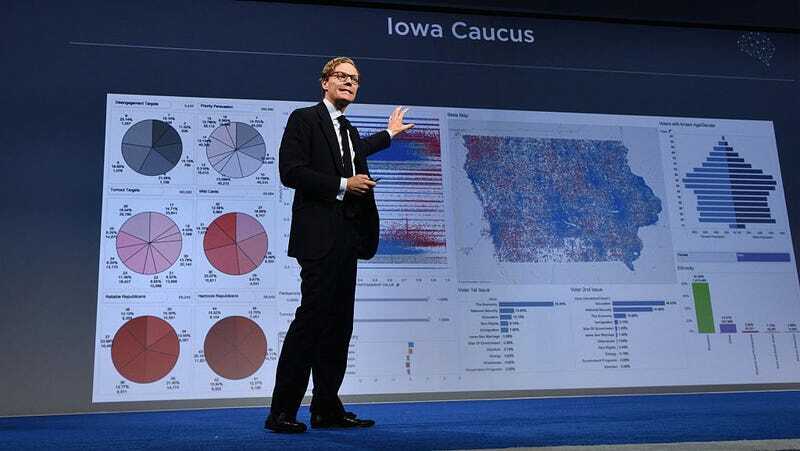 Cambridge Analytica, the data analytics firm involved in a scandal with Facebook over misuse of private data, is learning what it’s like to have their privacy invaded. Britain’s information commissioner announced on Monday that she is seeking a warrant to search the company’s office and servers for any evidence of illegal activity. It’s been an eventful few days for the data firm. The drama all began over the weekend with an internal whistleblower coming forward to say that Cambridge Analytica had acquired the personal data on 50 million Facebook users through a method that violated Facebook’s terms of service. Then, on Monday, the UK’s Channel 4 ran the second part of an ongoing investigation into Cambridge Analytica’s shady political practices. You can read the ICO’s full formal statement here. Update 6:50pm: Facebook has confirmed that auditors from Stroz Friedberg, the digital forensics firm it hired to conduct the probe of Cambridge Analytica’s servers, were asked to leave by UK authorities. “At the request of the UK Information Commissioner’s Office, which has announced it is pursuing a warrant to conduct its own on-site investigation, the Stroz Friedberg auditors stood down,” Facebook said in a statement.